The Boston Red Sox just cannot get over .500. In fact, they have not had a winning record at any point of the season thus far. The team had two chances to get above that mark this weekend, but failed both Friday and yesterday to attain that elusive winning record. The Red Sox 2012 campaign can best be described as mediocre, and this week was no exception as the Sox took two of three from Baltimore but then lost two of the next three versus the Rays. Even with the .500 week the Sox managed to pick up one game on both the Orioles and the Rays and now sit 5.5 back of the two teams tied for the AL East lead. The Sox have moved a half game behind the Blue Jays to get out of last place in the division and 3 games behind the Yankees, so maybe this week will be the one that they get out of the cellar. 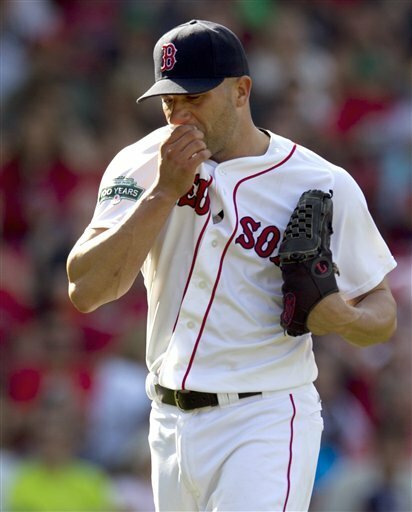 Alfredo Aceves after blowing a save Sunday. Josh Beckett again had the best start of any of the Red Sox pitchers as he went 7 strong innings on Saturday night against the Rays, allowing only 2 runs on 4 hits and striking out 5 hitters. It was a no-decision for Beckett as Andrew Miller threw a perfect eighth inning and Rich Hill a nearly perfect ninth (he allowed one walk). That was a very encouraging sign and the Sox really need #19 to live up to his expectations if they want to make some moves this season. Clay Buchholz is one player that also needs to live up to the team’s expectations of him, as Clay made two starts this week and managed to only get through 12 1/3 innings allowing 7 earned runs. The team needs more from him, but I guess his 5.11 ERA for the week is an improvement, sadly. Felix Doubrant and Daniel Bard both put in decent efforts this week and unfortunately Jon Lester got lit up in his only start lasting only 4 innings and surrendering 7 runs on Friday night (including a grand-slam from Matt Joyce). Adrian Gonzalez got back on track, leading the team in run production with 5 RBIs on the week. He also hit two doubles in 24 at-bats and scored 2 runs for the team this week. New acquisition Scotty Podsednik led the team in batting average for any player with more than 10 at-bats as he went 5-11 on the week, including a solo home run on Wednesday that ended up being the difference in the Sox win. Third baseman Will Middlebrooks also bounced back with a great week, hitting .421 with 3 RBIs. The man who will soon resume duties at the “hot corner” came back this week in Kevin Youkilis and the “Greek God of Walks” hit .375 on the week with one home-run. Adrian Gonzalez has played well in the outfield. 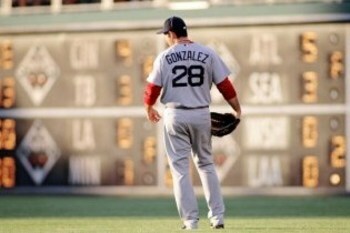 Sox fielders made 3 errors on the week, but the best sign of a good defense is that you barely notice them. That is the case with the Sox as they hang strong at the top of the league in fielding percentage (still one percentage point behind Seattle and New York). Adrian Gonzalez has played a very capable right-field, and while that move is only temporary the Sox feel comfortable in having him man the position in order to get both Will Middlebrooks and Kevin Youkilis into the Sox lineup. 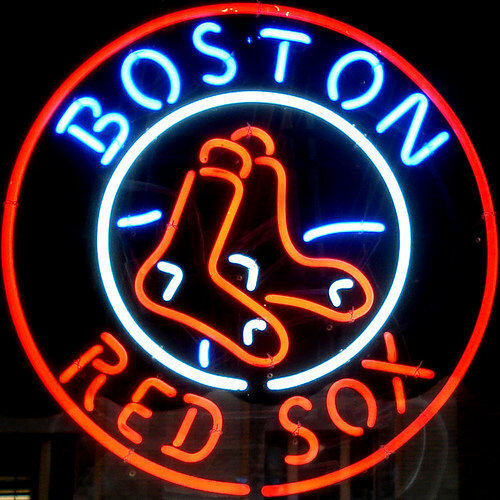 This entry was posted in MLB and tagged Baseball, Boston, MLB, Red Sox, Sports. Bookmark the permalink.